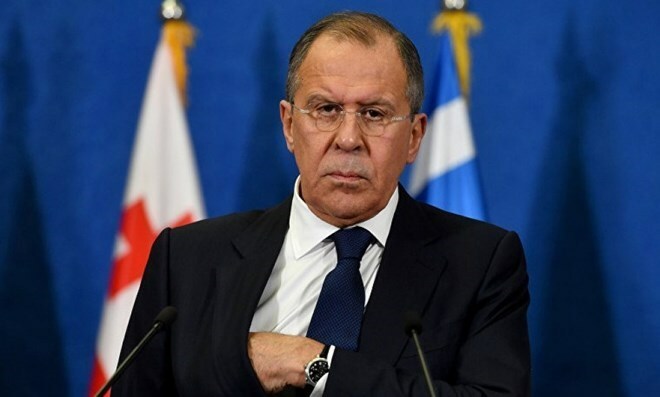 Bangkok (VNA/NNT) – Russian Minister of Foreign Affairs Sergey Lavrov paid an official visit to Thailand on August 9-10. On August 10, Minister Lavrov had a bilateral meeting with his Thai counterpart Don Pramudwinai, followed by a joint press conference by both ministers and a viewing of an exhibition on the history of Thai – Russian relations on the occasion of the 120th anniversary of Thai – Russian diplomatic relations held at the Ministry. Lavrov then paid a courtesy call on Prime Minister Prayut Chan-o-Cha at the Government House and later signed the book of condolences in remembrance of His Majesty the late King Bhumibol Adulyadej at the Grand Palace. In both the meetings between the Russian minister and the Prime Minister and the Foreign Minister of Thailand, apart from following up on the outcome of the Prime Minister’s official visit to the Russian Federation last May, both sides also had fruitful discussion on important issues of mutual interests, such as increasing bilateral trade by five fold by 2020 from 2 billion USD to 10 billion USD, Russia’s purchase of more Thai agricultural products, enhanced cooperation in energy, science, technology and security, promotion of Russian investment in Thailand’s S-Curve industries in areas of Russian expertise, for example, aerospace, digital and robotics, in support of Thailand 4.0 policy, especially Russian investment in Thailand’s Eastern Economic Corridor (EEC) project. Russia was invited to fully utilise Thailand’s central strategic position in the ASEAN market. The Thai side also asked for Russian support for Thai investments in Russia and for starting the process of negotiating a free-trade agreement between Thailand and the Eurasian Economic Union (EAEU) at the earliest opportunity. Furthermore, both sides also exchanged views on regional and global issues such as the situation in the Asia-Pacific region, the South China Sea, the Korean Peninsula and cooperation within ASEAN.